As sad as it is to see summer go, winter is now just around the corner, and that means the ski, skate, sled, and snowshoe season is upon us. Everyone loves to get out and enjoy the beautiful activities that our chilly season has to offer, but winter sports also provide a whole range of new possibilities for slips, spills, and total wipeouts. 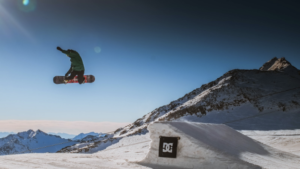 Whether you’re shredding a double black diamond on your skis, or learning to skate, head injuries are the most worrisome part of winter sports. From concussions to fractures, there are many dangers to your skull, brain, and neck from winter sports. It’s no secret that wearing your helmet at all times while skiing, snowboarding, skating, and even sledding, is crucial, but there are other factors to consider too. Making sure you have the proper helmet (a bike helmet won’t due for playing hockey) and the right fit (snug to your head and tight under your chin) will ensure that your helmet will work as advertised when you need it to the most. Drinking water during the summer is second nature, but the cold winter weather is often more conducive to hot drinks like tea or coffee. Underneath all of your snow gear, your body is still sweating a lot, and these hot drinks actually work to dehydrate your body even further. Make sure that you get enough water while you’re outside this winter, to prevent the brutal symptoms of dehydration. This can lead to fatigue, poor decision making, and mental fog, all of which can become very dangerous very quickly while on the ice or the mountain. If after implementing all of these safety tips, you still end up with a nagging injury this winter, make an appointment with the caring, knowledgeable staff at Petett Chiropractic, to get your spine and back back on track.